I have decided to take the plunge and try Li Lash to see if it works for me! Li Lash is an eyelash growth product that stimulates growth for the longest, fullest lashes you have ever had. How to use: Apply every night like a liquid eyeliner for 6 weeks. 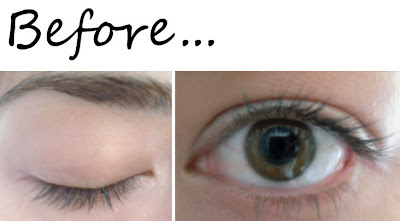 It's claimed to be the worlds fastest acting and most powerful eyelash stimulator. I have snapped some before pictures without any make up on today so that I may compare it to the after photographs. My lashes are relatively long, quite thin, not so dark and not very curly. I may run some updates on the product if I have any reactions (hopefully I wont) I am genuinely very excited to see the results! 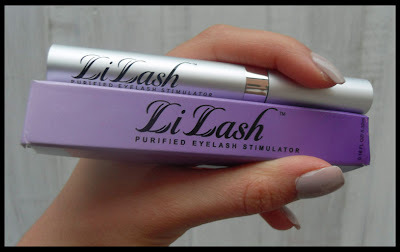 Have you tried Li Lash and what have your experiences been? Ooh, very excited to see the results you get from it - good luck, hope it works for you! looking forward to the results! i've been trying a similar product from mavala (double lash) - it definitely made a difference but i had to use it religiously every day..
Can't wait for updates! I've wanted to try this, but still not sure. Very curious though. I'm writing an updated review of my experience with li-lash tomorrow, but until then won't divulge my feelings on it! It'll work ..I'm not seen a review where it HASN'T worked!I wish it wasn't so damn expensive though! exciting! I've been using the new edition of Enormous Lash and it is not working a all. Its been about 2 months and only have seen a couple thin, hairs growing out. I'm looking forward your review on this. @ tackyblueeyeshadow it's ciates cookies and cream, check prev post. I tried Lilash a month ago. I had terrible reaction to it. My upper eyelids became painful and formed some little red bumps which took a week to resolve. So I returned the product. i really really wanna get my hands on this! You'll love this! Stick with it and by the end of the tube you'll see amazing results! i'm excited for your updates--i hope you get through it, pain free ;) good luck!!! I can't wait to buy this!!!! I have Revitalash and have been using it FOREVER you can see some pics on my blog of how long my lashes are natural but I hear li lash makes em much strogner!! im excited to see if this works. My lashes are awful! Can't wait to see if it works! I haven't tried Lilash yet but I have used Revitalash for over a year and it really works and teh results last unliek other products I've heard about. Can't wait to see how it works for you. My friend Kelly and I were just talking about this product. I hope it works for you! I love your creative posts so I had to follow! Hi hun, where did you get this from in the UK? The only stockists I can find on the net are on Ebay and don't really want to buy it from there! I'm trying it out now myself, only been a week and no changes yet but I'm optimistic! thanks for all of your advice girls, i appreciate it, so far my eyes feel a little sensitive but not bloodshot. @shangri-la it was sent to me. I can't wait to hear what you think about it and whether it works! I've read a lot of reviews on this product all of them seem positive but when ever I see peoples after photos after the 8 week period peoples lashes look extremely tangled and messy, and frankly a little scary they become unruly. You just need to go on youtube to see what I'm talking about. Also a lot of people have had all they lashes break when using an eyelash curler after they stop using the product and then they have to start using it again because they eyelashes have broken off. Just look at this blog to see what I'm talking about. Also although this girls eyelashes are very long they look scary and very messy :s.
I bought the product too and am no having second thoughts about using it because the last thing I want is messy sporadic growth. @erase your face oooow those photos don't look too great, they look quite disgusting actually. but thanks, i will still continue to use it and see what happens out of curiosity :) I will keep you informed. you might want to trim to keep them tidy if that weird sporadic growth thing happens to you.By the looks of things some eyelashes grow more rapidly than others and some of them curl in on themselves. You already have really long lashes as it is, so it'd be interesting to see how the product works for you. Love your post! looking forward for the next dear. There are a lot of fakes out there..